"I think every English cricketer dreams of the Ashes and I'd be lying if I said I wasn't thinking about it. But there is a lot of cricket between now and then." Joe Denly admitted he could not help 'dreaming' of playing for England in the Ashes after boosting his claims with a maiden Test fifty against Windies. 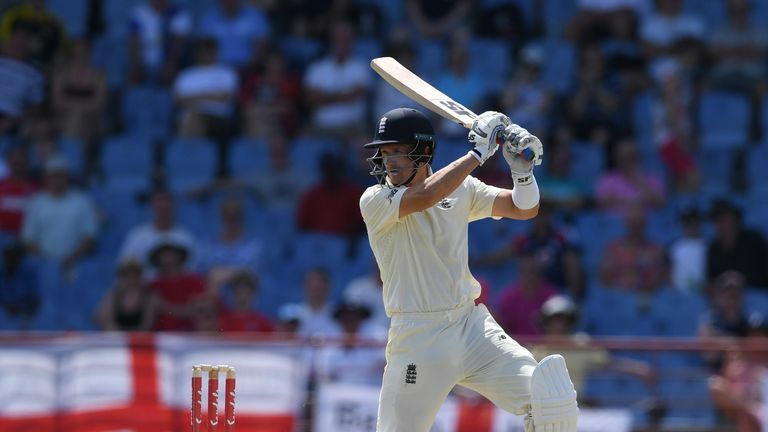 Denly scored 69 from the No 3 spot in his fourth Test innings, striking 11 fours in a 99-ball knock to help England to 325-4 by stumps on day three of the third Test in St Lucia - Joe Root top-scoring with an unbeaten 111. England have only one more Test before the Ashes gets underway at Edgbaston on August 1, a four-day fixture against Ireland at Lord's in July, with the 50-over World Cup taking place earlier in the summer. "It's a long way away," said Kent batsman Denly, when asked by Sky Sports Cricket's Ian Ward about his hopes of facing Australia. "I have said before that to play in an Ashes series would be an absolute dream. "I think every English cricketer dreams of that and I'd be lying if I said I wasn't thinking about it. But there is a lot of cricket between now and then." Denly will also miss a chunk of Kent's early Championship fixture while he plays in the IPL for Kolkata Knight Riders - and will be absent for more if he is included in England's World Cup squad. "There is so much [County Championship] cricket before the Ashes in August - a good nine or 10 rounds - so what happens here will be forgotten to some extent," said Atherton. "It wouldn't have been forgotten had he got 169 but 69 is not the sort of score to really imprint upon your mind. "[But] he looks the part, is an elegant player, stands tall, and played some lovely shots through the off-side off front and back foot. "He timed the ball as well as anybody and he didn't looked overshadowed when batting with Root, who is really experienced." Atherton's fellow expert David Lloyd added of Denly: "I thought he played really well. His movement was good, his defensive play. He has expanded his game but will be bitterly disappointed not to get three figures." "It has been a test but that's what you expect when you come up to this level," added Denly. There is no let-up. "[Windies] have four high-quality seamers and a decent spinner. The pitches have been tricky and they have bowled well, too. "Being 32, having played a lot of first-class cricket and had a taste of international cricket in the white-ball stuff, that has certainly helped stepping up to the Test arena."